Most people know it’s important to have a will. However, many people don’t know exactly why it is so important. Generally speaking, a will is a way for you to speak after your death. It allows your voice to be heard after you have passed on, and for your desires to be met when you are no longer around to speak into a situation. While all situations are different, there are many common reasons why you should consider making a will. Estate Distribution – Don’t let what you’ve built and accumulated be distributed in a way you would not distribute it. A will will allow you to guarantee that your intended desires for your estate will be carried out. Your family will thank you for making the decisions for them to avoid any family disputes about who gets what after you are gone. Children – This is arguably the most important reason to make a will. A will allows you to clearly communicate who will take care of your minor children. If you don’t have it in writing, a court will choose among family members or a state-appointed guardian to care for your minor children. Executors – You choose who will ensure your affairs are in order by naming an executor to administer the estate in your absence. Disinherit – If you have someone who stands to inherit from you that you wish not to inherit, a will enables you to do this. Donate – Donations allow your legacy to live on. You can direct your gifts to worthy causes that you see as beneficial for the future of those you’ve left behind. 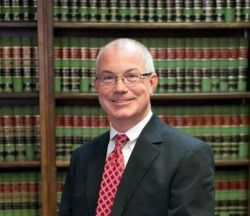 Stephen H. Hagler LLC, Attorney at Law has been drafting will and assisting families in the process of probating or administering estates, and establishing guardianships and conservatorships since 1991. Please give him a call and he will be glad to meet with you and answer any questions you may have.